Can Electric Bikes Get Wet? An electric bike looks like a traditional bicycle. Frame. Handlebars. Seat. Wheels. Brakes. Pedals and drivetrain (sometimes). But that’s where the similarities end. Because an eBike has other components not found in its non-powered counterpart; namely, a battery and a motor. These two components help deliver enough power to help the eBike reach coasting speeds as high as 20 mph. And that’s on throttle power alone! So it’s easy to see why a lot people in major cities prefer using an electric bike. They’re efficient, easy and extremely portable. For more in-depth look at how electric bikes work, visit this article. Every cyclist appreciates the benefits of having a robust and active lifestyle. But what happens when the weather refuses to cooperate? When it rains, every cyclist wants to know one thing: Can my eBike get wet? Are they water resistant? The answer is yes. Most electric bikes are water resistant. Your eBike won’t catastrophically fail if it gets splashed with a little water, or if you ride it while it’s drizzling. But the amount of water electric bikes can withstand differs between models. Can I Ride an eBike in the Rain? Clearly, eBikes can be ridden in warm or sunny weather. Electric bikes can also be specifically designed for hills and mountains or adventure on busy city streets. But an electric bike will also likely survive in the rain. You might have thought that anything electric should not be used in the rain, but that’s not true with electric bikes. You can ride them in mostly the same conditions as traditional bikes. That being said, you should still stay clear of diving headlong into a pool of water. Electric bikes shouldn’t be used to “go muddin’” either. Your eBike is water resistant to a degree. But they are not waterproof. And there is a difference. So what are the standards for determining the water resistance of an item? For mechanical casings or electrical enclosures, there is a quality standard called the International Protection code (IP code). This code classifies and rates the degree of protection a product has against intrusion. And not just water, either! 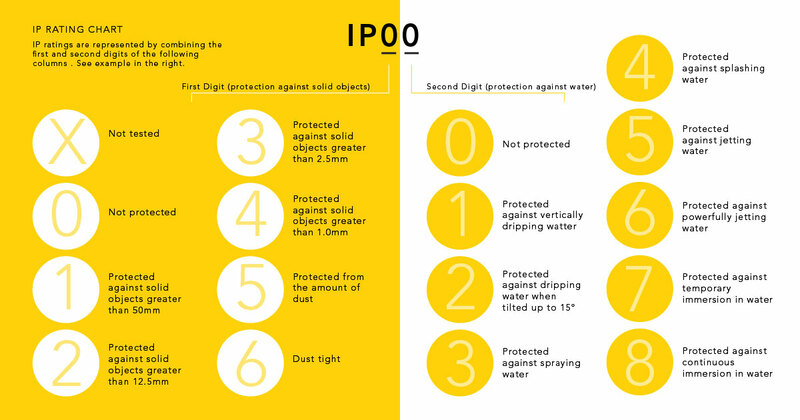 IP ratings cover water, dust and accidental contact with the electric enclosures. You’ve likely seen these IP ratings on other consumer products. Sony and Samsung were two manufacturers that brought water resistant smartphones to the market. They would regularly talk about their IP rating. But this global standard is used on all sorts of products, not just small consumer electronics. Use this chart to understand what the IP ratings mean. All SWEGWAYFUN eBikes are certified IPX4. So they are “protected against splashing water.” This is more than enough to protect your electric bike should you get caught out in the rain. How Do I Know if My Electric Bike Can Get Wet? What can you do to make sure your eBike can survive a sudden rainfall? Always check for the eBike’s IP rating. They should be easily found on the packaging and made readily available to you before purchase. If a manufacturer doesn’t have an IP rating on their product listing, packaging or user manual? Stay clear! The IP rating is your first, best defense against a shoddily built product. But there’s more . . .
You are more likely to enjoy riding an electric bike in adverse weather if you have a bike that is specifically designed for them. A range of eBikes from SWEGWAYFUN are equipped with features that can help conquer most riding conditions, including those rainy days. There is no doubt that electric bikes are a fun, empowering way to get around. And technology has improved enough so that water is no longer its mortal enemy of an electronic device. Smartphones, drones, cameras — they’re all becoming more and more water resistant as technology and manufacturing processes improve. And that’s true with electric bikes as well. Electric devices are making serious progress in the water. Heck, we even make an electric powered surfboard! So be smart about your electric bike purchase. Choose only the best, from the best. Choose SWEGWAYFUN and you’ll be singing in the rain – and riding in it too!